Hello there. I am hoping you are enjoying your weekend. I have some crafting time planned and I am hoping to shoot some new videos as is been a while and I did say I will start offering more of them. Is Louise's Happy Birthday today and I hope she is having a fabulous day. I love it when your birthday falls on the weekend us even more special somehow as you have the time off work. Louise loves Olive so my card for her was based around Old Olive. I have paired it with Blushing Bride here and made another twisted easel card. 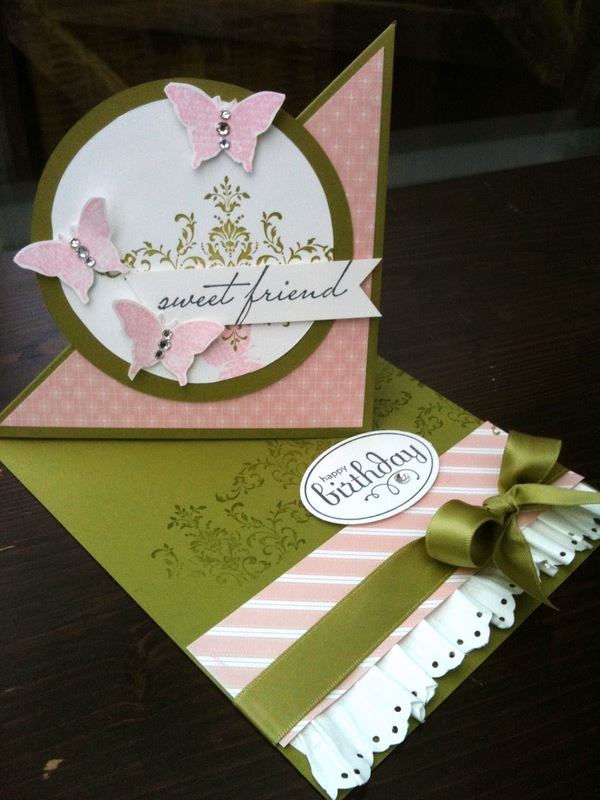 For those of you that emailed me about this type of card keep your eyes peeled as I will have a tutorial soon. I have chosen the Bliss Sale a Bration set as is still my favourite and turned away from the Vintage look I have been featuring so far with this set. As you can see it works just as beautiful for a clean look. The Blushing Bride patterned paper I have used is Free as well. 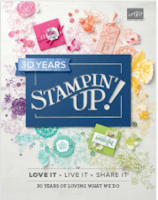 Is part of the hostess benefits reward youcan get when you host a workshop with me or place an order with a value of £150. 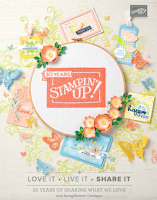 Of course if you do that you will also earn 3 free Sale a bration stamp sets plus £15 worth of merchandise. Can't hold a workshop and you do not want to spend all that money in one go? No problem !! You can join a virtual hostess club. I have ONE more place in a club starting at the end of this month so get in touch to reserve it NOW. One more close up of my card, the photos are not that brillinat as they have been taken with my I-phone love the phone not in love with the camera on it. 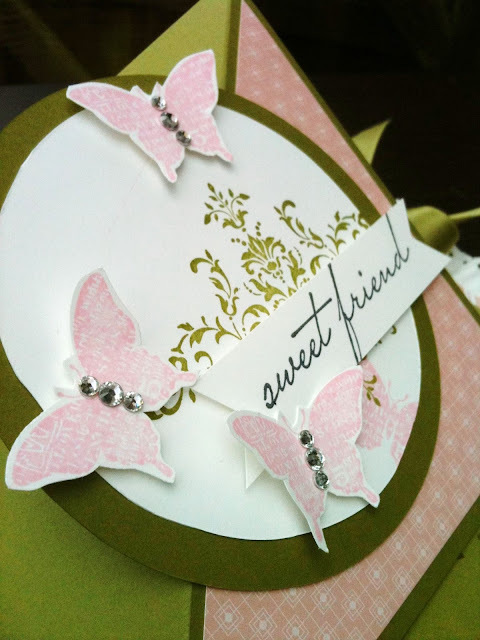 I have added some obligatory rhinestones to the butterflies bodies and used the gorgeous Sweet Friend sentiment form the Hello You stamp set. I hope you like it and more importantly I hope Louise liked it. Wow, that is lovely...cannot wait to see the tutorial. Your blog is full of inspiration. Can't wait to meet you in Peterborough! WOW, what a great tutorial! I am glad You were so generous to post this unique card. I love the way You did the ruffle and the fold of the card was wonderful! Well done!!! 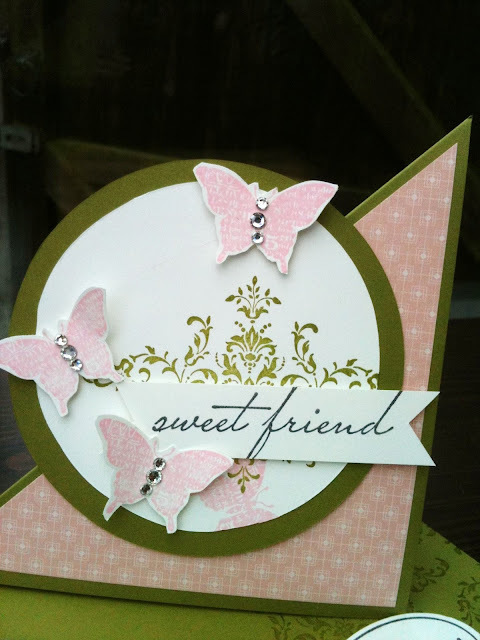 Monica, Your card would be a great submission for our challenge this week, pop over to Hand Stamped Sentiments Challenge blog, www.handstampedsentiments.com. We would love for you to paly along! Wow!! What a beautiful card, I'm looking forward to trying my hand at making this card. I noticed your measurements are in cm and not in inches, is it possible for you to let us know the measurements in inches.